Electronic and Digital Signature options that suit your business needs; Digital Loan Jacket allows PDF documents to be saved to individual deals. No time or money wasted on slow, error-prone, paper-based processes and no money spent on shipping and supplies. By removing the high price of printing, faxing, and overnighting, many companies see a significant per-document savings. 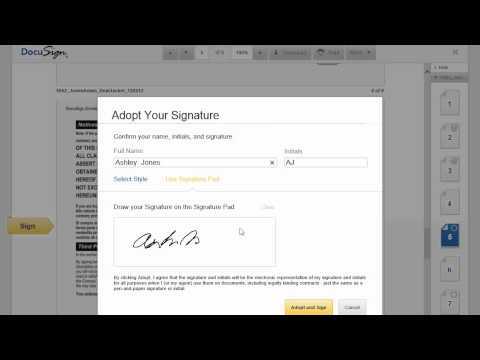 Wondering about the legality of eSignatures? We have you covered! Electronic signatures are valid and legally binding around the world. Thanks to laws like the ESIGN Act of 2000 (US Electronic Signatures in Global and National Commerce Act), electronic signatures are now as legitimate as a paper and pen, and arguably more secure with a comprehensive digital audit trail. DocuSign offers the best in class record integrity with unparalleled hashing and encryption standards, retention and storage practices and data security ensuring the document can only be accessed, read, and executed by the designated user. DocuSign ensures the legality of electronic signatures by offering the most trusted, reliable, and secure digital evidence of any electronic signature company.